The final week of Patrick's radio show, which started in 1999, will include a look back at memorable moments, interviews and guests. "If there was animosity, I wouldn't be doing any radio shows after today," Patrick said on his show, adding, "I hope to be doing radio somewhere, somehow, down the road." Said Williamson: "Dan has accomplished so much over the past two decades at ESPN, and fans and newsmakers have turned to him for his steady and trusted approach. We wish him the very best." 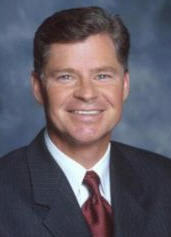 Patrick was a "SportsCenter" anchor from 1989 to 2006, winning the National Sportscaster of the Year award from the National Sportscasters and Sportswriters Association in 2000. He also received a Sports Emmy Award in the Studio Host category in 1998.